Condolence: Condolences to the Stephens family from all of us at the Norwich Post 189. 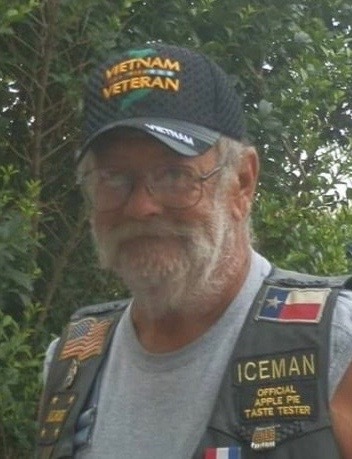 Gary "Iceman" left a great legacy with the American Legion Riders. Gary cared enough to make a difference to our Country and American Legion. He is riding to heaven and will be in our soul when we ride again. Condolence: Ride hard on the "Twisties" up yonder Iceman - I will see you on the other side! You were (and will be) an inspiration to so many Riders - it was my own distinct honor to meet you, ride with you and learn from you. Go with God and rest well, my Friend, we'll take it from here. Condolence: R.I.P. 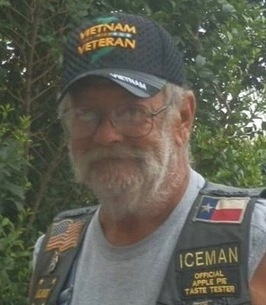 Iceman, Your love for the American Legion Riders was evident as soon as anyone met you. At the beginning you had high hopes and dreams for the ALR. Your leadership helped us get there. Look at your "little group of motorcyclists" now. Hopefully the future will include your greatest legacy, the American Legion Rider Of Honor (ALROH) Award. Gary, my Brother, I will always remember you and those overalls. Condolence: Condolences from the entire Schaefer Family, our hearts are heavy. Gary became part of the Schaefer Family. My dad was in the Big Brother program and became Gary's big Brother. Gary started working for my dad when he was 13 years old and became a big brother to myself, my brother David and my sister Lou Ann. Gary was always there for us. He was the most amazing brother. He in his life he was a Vietnam Combat Veteran, a Teacher,a Past Master of freemasonry and a Knight of Scottish Rite, a Kentucky Colonel and a commander of an American Legion Post. All positions of service to his fellow man.. I know that his spirit is with God. Bless Him Oh Lord and grant this great Knight and brother of ours his place in your kingdom. Condolence: Gary was an amazing person, and I loved him. My world will never be the same without him. My heart is broken.